With our twins now on the cusp of becoming teenagers, it seems a lifetime gone since their very existence was in question. It wasn’t that long ago, though. Latter part of the nineties, turn of the millennium, to be precise. While couples worldwide were daily adding millions to Generation Next, we were trying – and failing – to supply just one. Difficulty having a child was not something I’d ever imagined. Not in high school (all too easy to get a girl knocked up); not in university (I’m never having kids anyway); not when my beautiful wife and I married (let’s have some fun first), not as a school teacher (I’m not ready to have one of these jokers). Not even when we decided to give it a go, see what happened. 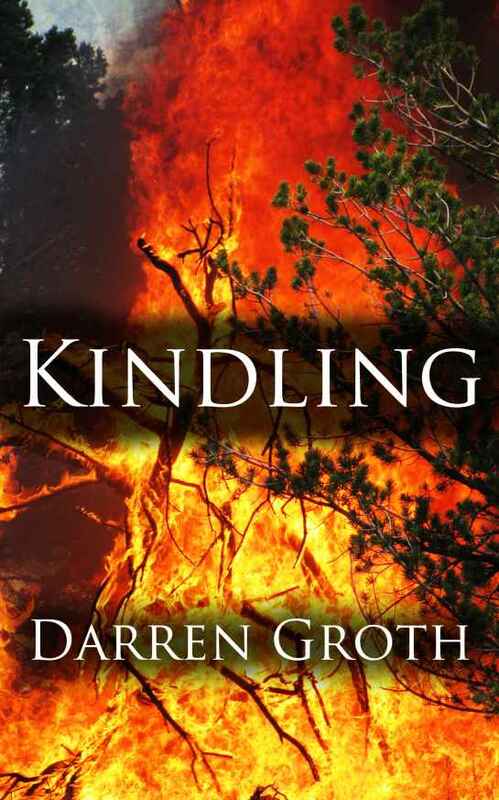 As I write this, people all across North America are scrambling (yes, SCRAMBLING) to download a free e-copy of my novel, Kindling. At the same time, they are resisting the temptation to repeat the dose with noted public brainwasher, Nick Earls, and his work, Monica Bloom. Because no one wants to live under the tyranny that will ensue if Earls is victorious. Sure, Nick presents as a humble Australian artisan; a benevolent genius who authors stories as luminous as his work to aid humanity. 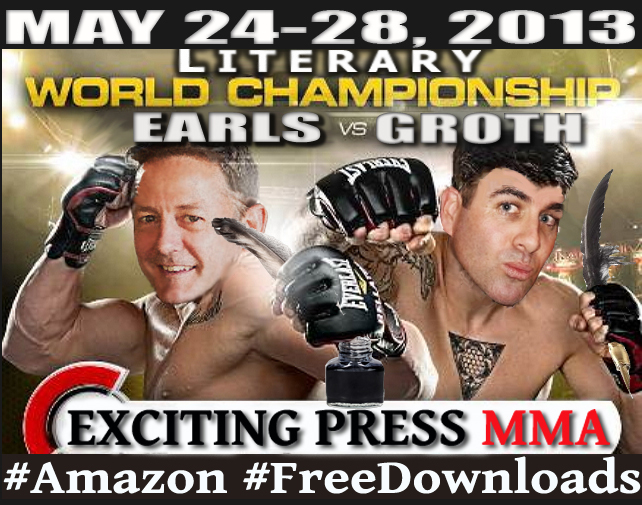 Don’t be fooled: if, at the conclusion of May 28, the man known in closed literary circles as “The Cocked Fist” (see picture above) has more freebies shared to his name than mine, the entire world will go to Hell. Your children, and your children’s children, will suffer under an oppressive regime of eminently likeable characters and delightfully crafted narratives. This is Hunger Games, people. Minus the hunger. And without the games. So do the right thing. Get your complimentary copy of Kindling and play your part in ensuring the stable, loving, entirely problem-free world we all love and cherish is maintained. And be careful with any retort Earls may have to this missive. This is a man who wrote The Fix. 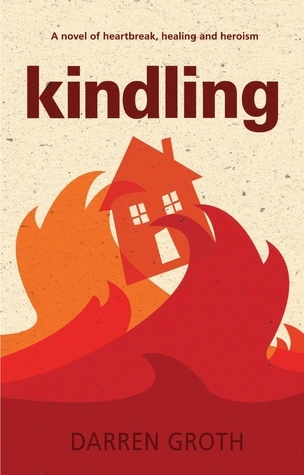 Courtesy of the fine folk at Exciting Press, Kindling is available for the first time in the Home of the Brave and in the True North, Strong and Free. Now, apart from continental accessibility, what’s different about this publication compared to the original Aussie release in 2010? As you can see from this extensive list, the work is TOTALLY different, barely recognizable from before. So, grab the new and improved Kindling while internet stocks last! Kindling in Kindle format for North America – buy the US version here and the CAN version here. Fire Up The New ‘Kindling’ Cover! 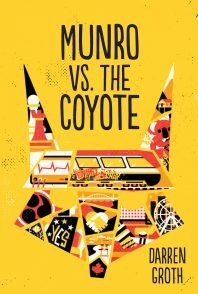 With the US/Canada ebook release of Kindling mere days away, here’s an insider’s view of the hot new cover (you see what I did there?). Two burning thumbs-up to Exciting Press Creative Director, Will Entrekin, for his fine work. You sent your 10 year old, autism-diagnosed protagonist into this fiery maelstrom!? Really!? What sort of sicko author does that!? What sort of monster are you!? 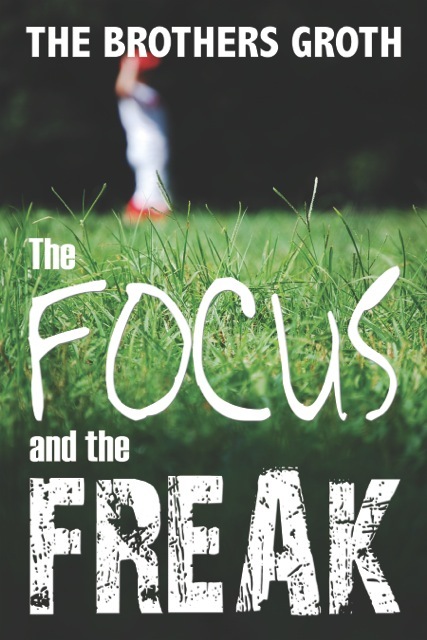 The North American Kindle edition of the acclaimed Brothers Groth novel Concentrate – titled The Focus and the Freak – is now available. Quality young adult/crossover writing for the price of a cup of coffee…What reader could ask for more?